Our next spotlight artists are the German-American band Alpine Squeeze. They were chosen today because they are the entertainment tonight at the Grand Opening of Hofrau Bierhaus. Band leader Eric Baal was cool enough to answer our questions on short notice, so we could publish this today in time for tonight’s party. If I recall, it was actually my wife, Cherie’s idea. We basically put two and two together. The German alps and squeezing the accordion. It seemed to have a catchy ring to it. As a band we have been performing since 2006. As for me on the accordion, was six years old when I picked up an accordion for the first time. I soloed at The Bavarian Inn in Garrison, NY for ten years while playing with some bands off and on. After the restaurant closed in 1996, he moved to the Black Forest Mill in Highland Mills, NY, where patrons still enjoy listening and dancing to a wide variety of his music, not to mention the traditional songs of Munich’s Oktoberfest. Valley Philharmonic, to name a few. As a second generation American of German descent, my parents taught my sister and I German, (we are both fluent), and they kept many of the German traditions alive by having us participate in a variety of German events. I was one of the original “Schuhplattler” dancers with the Bavarian Club Edelweiss, Westchester, NY, where I not only participated in their annual festivals, but also competed in several Gaufests. I also marched for many years in the annual German American Steuben Day Parade up 5th Avenue. Great German performers like Tony Marshall, Heino and Edith Prock had a big influence on me when I was growing up. I am grateful to bands like dSb “Die Schlauberger” and the Jimmy Sturr Orchestra who have also had a significant influence on my musical development over the years. Are your band members German-born, German-American, not German, or a combination? All of us are American with some ties one way or another to the German heritage. All of us have been involved in German American music for most of our lives. At our website: alpinesqueeze.com/discography.htm We are currently working on a new album which will include many of the traditional songs as well as some new ones. We hope to have this project completed by the fall. We enjoy any type of venue, whether it be a small, intimate party, or a large outdoor festival like the one we did on the Summer Stage in Central Park last year and in 2009. 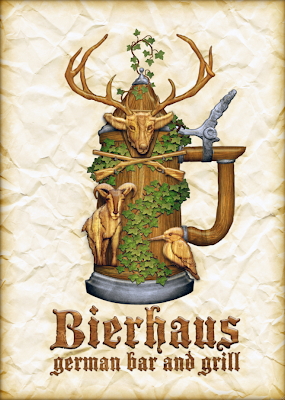 We have been honored to be called back to many venues we have performed for in the past, such as West Point Military Academy’s annual Oktoberfest, Zeppelin Hall in Jersey City, NJ and The Black Forest Mill Restaurant in Highland Mills, NY. At one outdoor, daytime festival, we were well into our third set, everyone was dancing and singing and enjoying the good food and beer. All of a sudden, the power went out and there we were on stage performing “A cappella” without any amplification. We finished the song and then finished our set by strolling through the audience. Lucky for us, our instruments allow us to do that…. Everybody went home happy. When you’re just starting out, you never really realize what great opportunities lie before you until suddenly, one day, you’re standing there on a stage in front of thousands of people, ready to start your first set. So just keep doing what you love to do, and keep it together no matter how difficult it might get. Believe in yourself, your fellow musicians, and never give up. Have you ever performed at Munich’s Oktoberfest? No I have not, but I’ve been there 4 times and each time was a blast. I don’t remember much detail, probably because I drank too much beer. 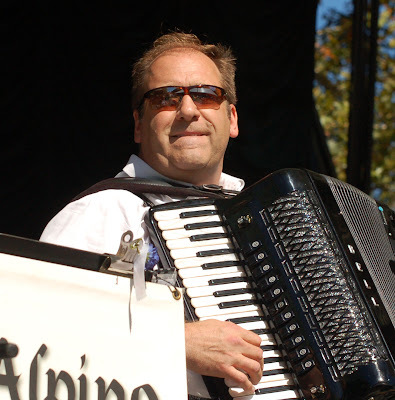 I did have my accordion with me during my last trip to Las Vegas back in 2004, and was happy to be a guest performer with one of the bands playing at the Hofbräuhaus in Las Vegas. you already played there Monday at a private event. Tell us your first impressions. Nothing short of “FANTASTIC.” The owners are first class professionals. The staff extremely accommodating. Quality permeates throughout the restaurant’s décor. It’s a place I would recommend to my friends. 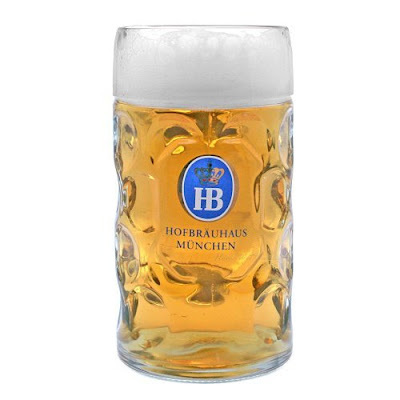 Traditional Beer tapping ceremony at 8pm, in which the first official Hofbräu Bierhaus keg will be tapped.